Apple today began sending out emails to students and STEM organization members who have won a scholarship to attend the 2017 Worldwide Developers Conference, which will take place in San Jose, California from June 5 to June 9. 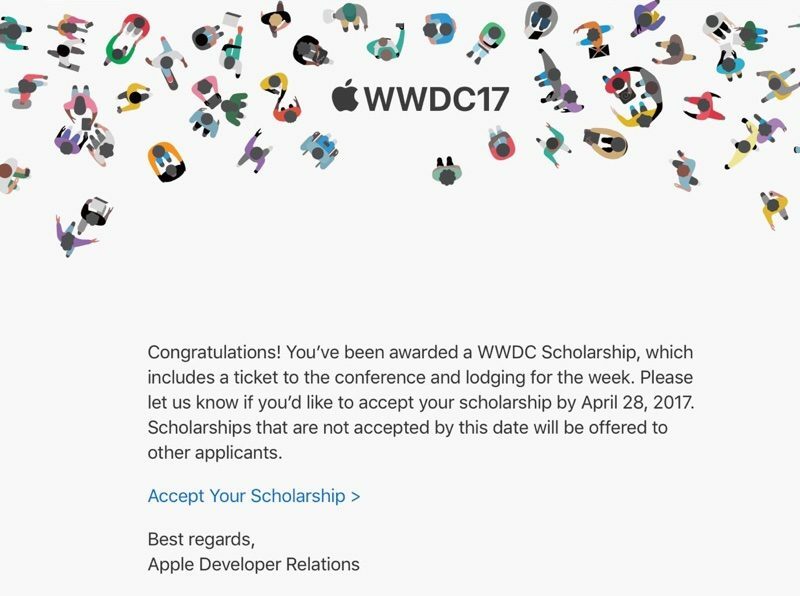 Scholarship winners receive free tickets to WWDC, a huge benefit as a ticket is normally priced at $1,599. Apple is also providing scholarship winners with free lodging this year, housing them at the San Jose State University dorms, located approximately 15 minutes away from the venue when walking. To win a WWDC scholarship, students and STEM members were tasked with sharing a three-minute visually interactive scene created in Swift Playgrounds. Entries were judged on technical accomplishment, creativity of ideas, and content of written responses. Scholarship winners must accept the scholarship award by April 28.